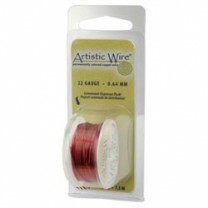 Artistic Wire, Copper Wire, Red, 24 Ga, 10 yd spool. These are copper wires with pure silver plating, followed by enamel color & non tarnish coating. The silver plating adds an incredible high-shine & brilliance to the wire. Artistic Wire, Copper Wire, Magenta, 24 Ga, 10 yd spool. 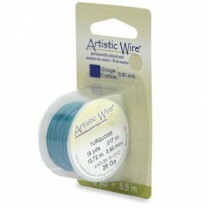 Artistic Wire, Copper Wire, Turquoise, 24 Ga, 10 yd spool. Artistic Wire, Copper Wire, Lavender, 24 Ga, 10 yd spool. 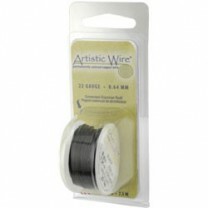 Artistic Wire, Copper Wire, Dark Blue, 24 Ga, 10 yd spool. 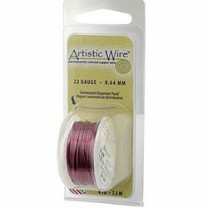 Artistic Wire, Copper Wire, Burgundy, 24 Ga, 10 yd spool. 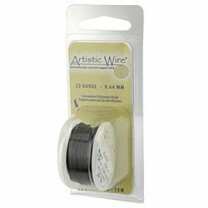 Artistic Wire, Copper Wire, Black, 24 Ga, 10 yd spool. 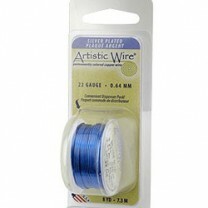 Artistic Wire, Copper Wire, Silver Blue, 24 Ga, 10 yd spool. 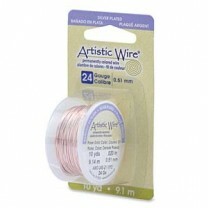 Artistic Wire, Copper Wire, Rose Gold, 24 Ga, 10 yd spool. Artistic Wire, Copper Wire, Lemon, 24 Ga, 10 yd spool.